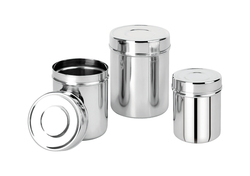 We are renowned firm in the industry, offering the best quality array of SS High Storage Canister to our esteemed customers. These products are made from high-quality components. STC - 7: 7 Ø X 10 cm. STC - 8: 8 Ø X 11 cm. STC - 9: 9 Ø X 12 cm. STC - 10: 10 Ø X 13 cm. 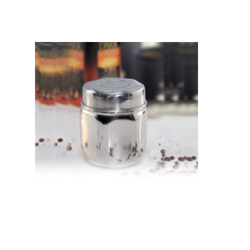 Our company is pioneer manufacturer in SS canister and such tea containers, a set of 6 canisters are available. We are the leading manufacturers of this type of containers which perovides high durability.